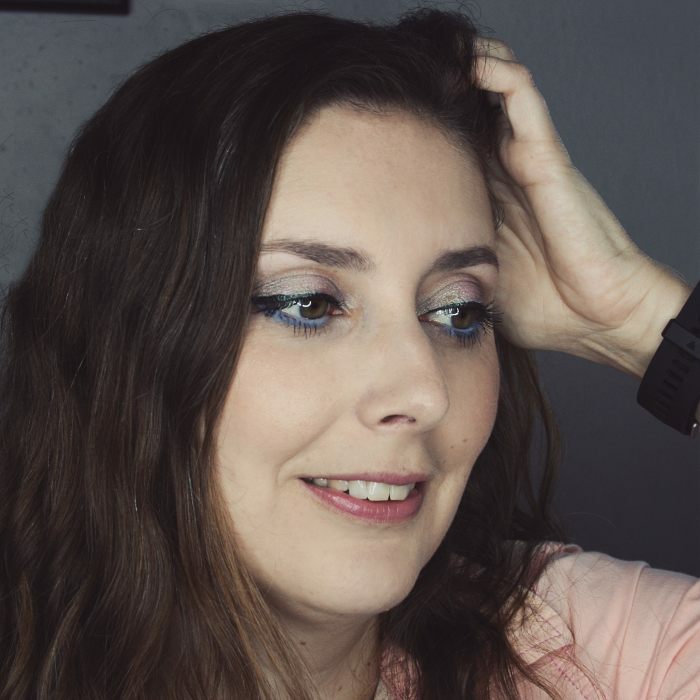 You know I'm a huge fan of the Lancôme Matte Shaker, a very unique lipstick that I've mentioned multiple times on this blog since it was released last year. When I saw pictures of the new Kiss Cushion Lip Tint by Revlon, I was intrigued: it seemed to have the same cushion applicator. 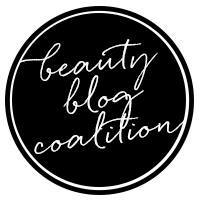 Could it be a cheaper alternative to one of my favorite makeup products? Let's find out! I'll be reviewing this new Revlon lippie and comparing it to the Lancôme Matte Shaker, my long time favorite. Take a look at my original review of the Matte Shaker for swatches and more details about that formula. 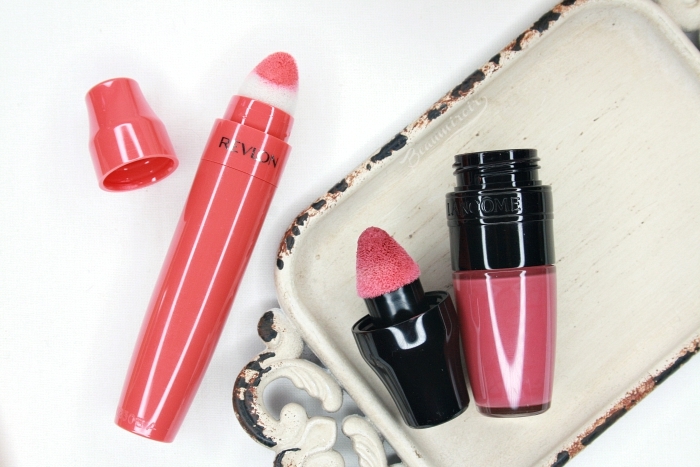 The Revlon Kiss Cushion Lip Tint has a cocktail shaker shaped cap just like the Lancôme Matte Shaker, but otherwise it looks more like a classic tube of lipgloss. The tube itself is opaque so you don't see the product inside, but the plastic is the same color as the shade it contains: the one I bought is 250 High End Coral. 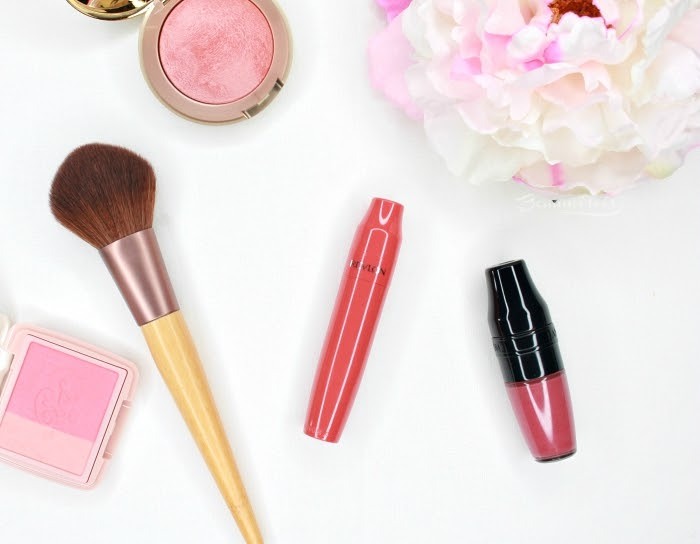 The Matte Shaker is a small vial that you shake to soak the applicator in product, while the Kiss Cushion has a more classic twist system that clicks to release lipstick into the cushion. In terms of design the Matte Shaker is a lot cuter and more unique, and feels higher quality as well. 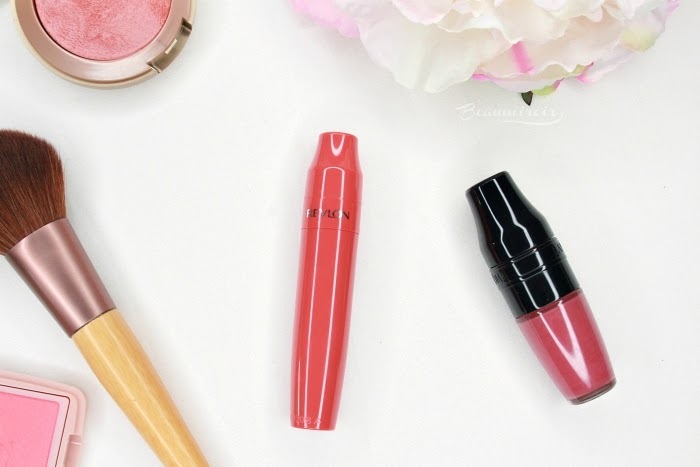 What makes the Lancôme Matte Shaker special is its large cone-shaped fuzzy cushion applicator, and while the Revlon Kiss Cushion looks very similar, it does not perform as well at all. First, the "cushion" of the Revlon is very rounded at the tip, while Lancôme's is pointier. That makes it a lot harder to apply with precision and not smudge lipstick past my lip line, especially in the corners. 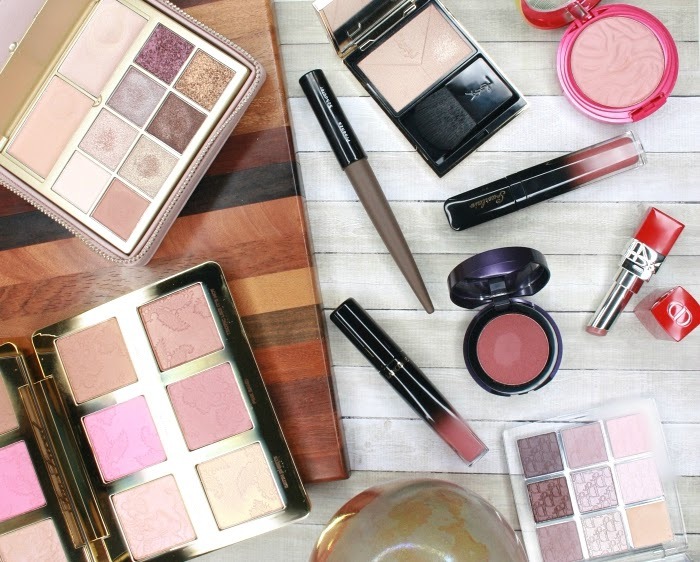 The Lancôme is soft and plush, while the Revlon feels harder and more like a sponge. Instead of being evenly coated in product like the Matte Shaker, the Kiss Cushion has lipstick coming from inside the applicator that randomly seeps out one side or the other. For me it never seems to come out the tip! Because of that I will try to apply and get nothing on my lips, only to turn it around and have product ooze all over the place with the squishy sound of a sponge full of dish soap. 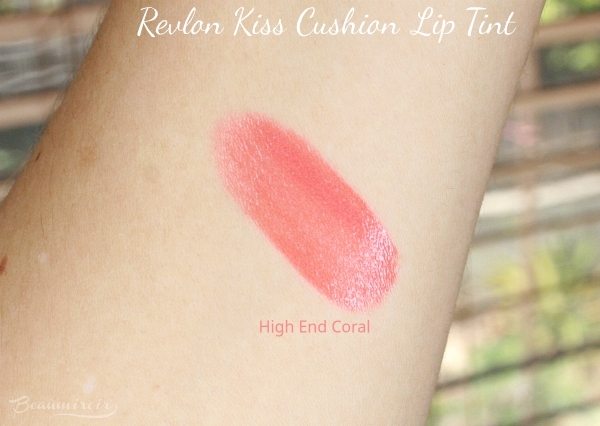 Revlon causes some confusion by calling the Kiss Cushion a "lip tint" and describing it as "juicy wash of color" with the texture of a lip balm. Based on those claims you'd think it's some kind of sheer moisturizing lip gloss, more like the original Juicy Shaker. But this is totally inaccurate: the Kiss Cushion is more of highly pigmented lipgloss or liquid lipstick. High End Coral is almost opaque, packing a ton of pigment. I'm sure a lot of people will love the intensity, but it's absolutely not a juicy wash of color as described. The texture is fluid but rather creamy, and it has a light vanilla scent. I find it to apply rather unevenly, creating a patchy result if I don't pay attention. It has a satin finish that causes a lot of transfer. Revlon says that it "dries to a blotted lip look" but I'd say it faints to a blotted lip look once you've left most of it on your coffee mugs! In comparison the Lancôme Matte Shaker is even more pigmented, yielding a fully opaque layer in one swipe. It looks a lot more smooth as well and I don't have to fight with it to get even color coverage. Despite its name it's not fully matte right after application, but it does turn quite matte as it wears off. Revlon promises a hydrating, comfortable formula, and I'll have to disagree. 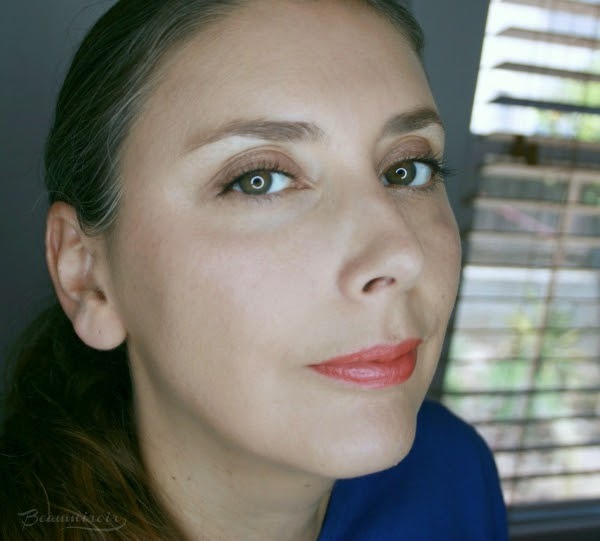 From the start the Kiss Cushion sinks into my lip lines and emphasizes dryness, and that gets worse as it wears. There's something almost chalky to the way it looks on my lips, and it becomes less and less flattering the longer I keep it on. It does stain my lips a bit so there's a shadow of color after a meal, but as I already mentioned the transfer is a problem. The Lancôme Matte Shaker, on the other hand, feels more lightweight yet more moisturizing. It sits on the lips a lot better, without catching on dry spots as much. It transfers as well and leaves a stain behind too. In terms of wear time I'd say the two are fairly similar, although the Lancôme stays maybe a little bit longer if I don't eat. I really feel like Revlon tried to dupe the Lancôme Matte Shaker with their new Kiss Cushion Lip Tint: same cocktail shaker cap, similar cushion applicator and highly pigmented liquid formula, despite the puzzling description of a sheer juicy wash of color. Were they able to deliver a good, cheaper replacement for my beloved Matte Shaker? For me the answer is no, the Kiss Cushion is not even a contender. It's not a horrible lippie if you like a pigmented semi-opaque lipgloss, and it can be a decent value if you catch it on sale. However the packaging is a lot less practical with a formula that's not as flattering or comfortable. It doesn't even come close to dethroning the Matte Shaker in my opinion!